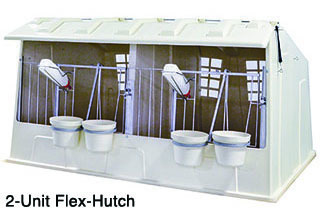 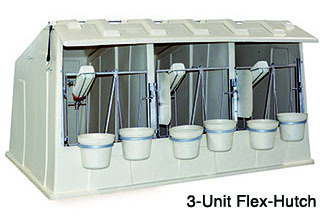 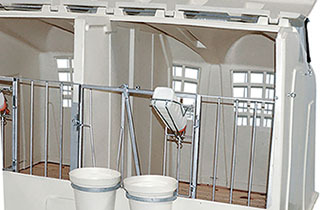 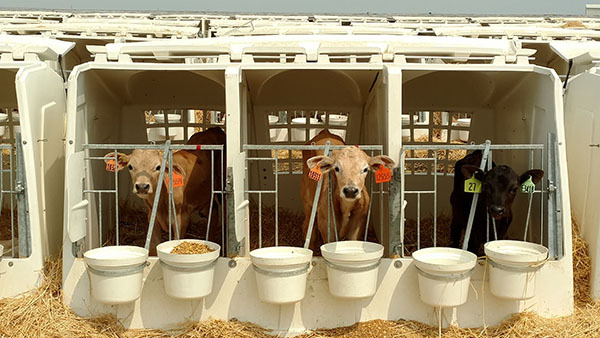 Flex-Hutch can house two or three calves depending on your choice of configurations. 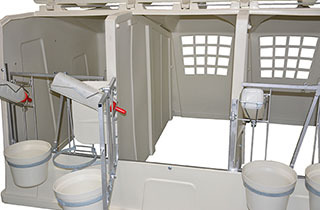 It can be placed directly on the ground or on an optional elevated base to optimize drainage and improve efficiencies during chore time. 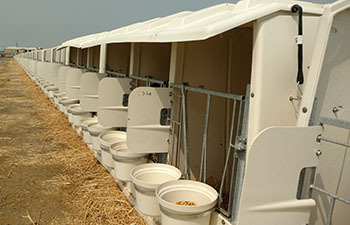 The sturdy plastic construction is easier and less expensive to maintain than wooden hutches while lasting up to four times as long, saving you time, money and headaches. 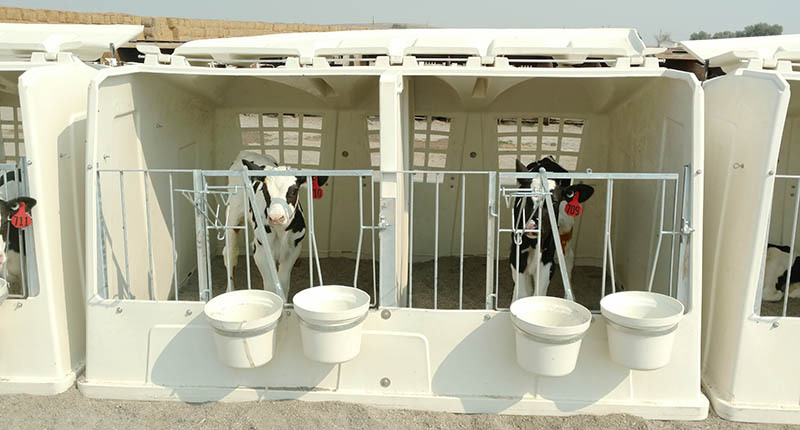 Housing costs per calf can be less than individual hutches! 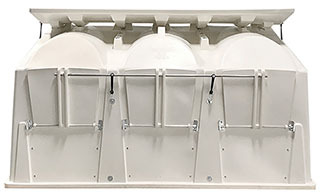 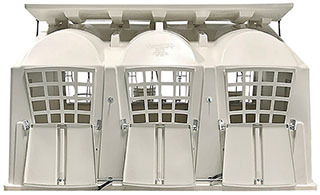 Single-motion rear vent control allows you to open or close three back vents all at once!